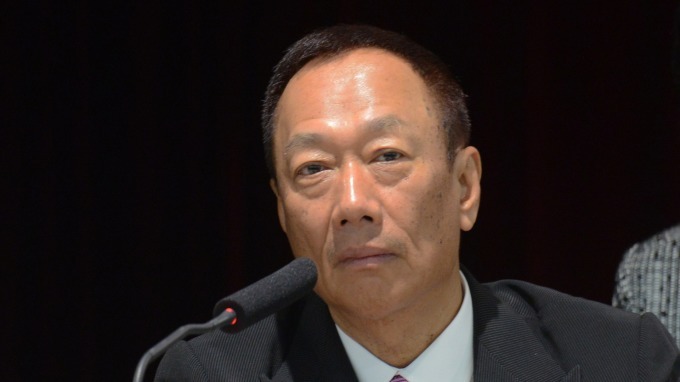 Terry Gou accuses Microsoft of "scapegoating" Hon Hai. Terry Guo, the founder and chairman of Hon Hai (2317-TW), said that Microsoft (MSFT-US) is falling behind in smartphone era, and trying to extract royalty by filing an patent lawsuits. However, Microsoft did not dare to sue Google (GOOG-US) and those manufacturers. Guo pointed out that Microsoft dominates the computer operating system market. Manufacturers has to inform Microsoft the number of computer shipments every time to get the operating systems. However, even now that the battlefield has transferred to smart phone market, Microsoft is still resting on its laurels and trying to extend hegemony from the PC era. Nowadays, the smart phone operating system market is dominated by Apple's IOS and Google's Android. Microsoft's Windows is losing ground. Since all vendors and foundries have confidentiality terms, Microsoft is unable to obtain the information of shipments anymore. Guo said that Microsoft must have thought that its patents has been used by Android, which can be the basis for filing a lawsuit. In addition, as the US-China trade war truce is near the end, Microsoft intended to reach the purpose of extract royalty in this period. However, Microsoft did not dare to sue Google or world's top Android mobile phone brands, therefore Hon Hai became the “scapegoat”. Mentioned to Microsoft is suing Hon Hai over unpaid patent royalties, Guo explained that Hon Hai has never paid any royalties fees to Microsoft in the past. Gou said at a press conference in Taipei that according to the contract, the patent infringement "will not cause any loss to Hon Hai and its subsidiaries" as a result of the lawsuit. "It is almost impossible to have risks to us" Guo said.